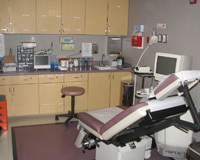 The Vein Center has state of the art rooms and equipment. 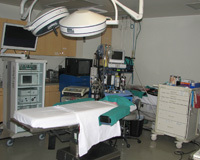 Our office is close to the Mount Sinai Surgery Center. 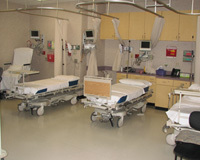 In addition to the spacious waiting area, exam and treatment rooms, we have two fully equipped and accredited operating rooms for absolute patient safety. Endovenous ablations are usually performed with local anesthesia along with light to moderate sedation, depending on each patients needs. Minimal sedation is usually required except during injection of tumescent local anesthesia, when most patients prefer additional sedation for complete comfort. General anesthesia with an ultra-short acting anesthetic is also available for patients with anxiety problems. 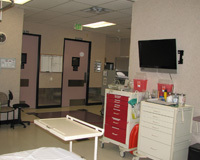 All patients are required to walk within the facility for 20 minutes immediately after all procedures.